Composition: polyamide polymer obtained by chemical synthesis. Physical properties: synthetic monofilament or braided, nonabsorbable. Application: for all types of soft tissue approximation and ligation, including cardio - vascular, ocular and nerve tissues. Due to the high elasticity of the filaments are most convenient for unloading overlay seams and stitching leather. The sutures cause minimal acute inflammatory response of tissues, followed by the gradual encapsulation of fibrous connective tissue seams. Nylon is degraded in vivo with a rate of 15-20 % per year by hydrolysis, so if unlimited conservation of seal strength needed, the use of nylon fibers is contraindicated. Features: monofilament nylon tend to return to its original straight condition as obtained by them during extrusion (that called as a "memory effect"). Therefore, the nylon monofilament must be tied with a large number of nodes in the loops, than for braided nylon. For wicker thread: silk, nylon. Chemical composition: isostatic crystalline stereoisomer linear completely or almost completely saturated hydrocarbon polymer. Physical properties: synthetic monofilament, nonabsorbable. Application: for all types of soft tissue approximation and ligation, including cardiovascular, ocular, and nerve tissues. Threads do not adhere to the tissues and are particularly useful where planned their subsequent removal. Features: polypropylene fibers made from a patented technology, can not be broken up or weaken the effect of enzymes the body. These filaments are inert in the tissues and in vivo studies retain its strength within two years. Filaments of polypropylene cause minimal tissue reaction and hold knots better than most monofilament synthetic materials. Possible alternatives: prolene, marilon, mopilen, rezopren. Сhemical composition: is a purified connective tissue (mainly collagen) small intestinal of sheep or serous layer of the small intestine of cattle which after machining and polishing almost converted into monofilament thread. The content of collagen in the thread determines its strength and ability to dissolve in body tissues without negative reactions. Physical properties: polished natural monofilament thread, resolves. 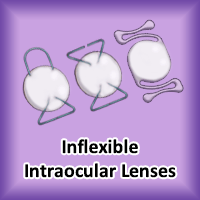 Application: for soft tissue approximation and ligation, including the ophthalmic operations. Features: in the tissue after implantation, catgut causes mild inflammatory response, that is ordinary body reaction for foreign materials. Subsequently catgut loses tensile strength, and then its mass, under the action of proteolytic enzymes. The rate of catgut absorption depends on the type of tissues (most absorbed in tissues with elevated levels of proteolytic enzymes, for example, where it is exposed by action of secrets stomach, cervix and others) and condition of the tissues (in infected tissues faster). Catgut saves its strength only during 7-10 days after implantation, and complete resorption of thread occurs up to 70 days. Catgut is contraindicated to use for patients with hypersensitivity or allergy to collagen, because it can lead to vulnerable tissue reactions - from mild irritation to total rejection of the thread. Chemical composition: polyester - poly (p-dioxanone). Physical properties: synthetic monofilament thread, absorbable. Application: in the approximation of soft tissue when it`s necessary to use the absorbable thread, but with longer (up to 6 weeks) supporting of the wound (e.g., a white line seam aponeurosis of the abdomen). Recommended for children`s cardio and angiosurgical operations. Features: the thread is not recommended to use in cardiovascular and neurosurgery for adults. Can not be applied where is necessary prolonged ( more than 6 weeks ) approximation time of tissues. In the end of the two weeks after implantation, thread will save in approximately 70 % of its strength; after four weeks - 50 %; six weeks - to 25% of its strength. 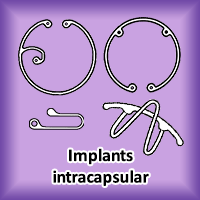 According to the facts of implanting this material in terms before 90 days, absorbtion is minimally expressed and its complete stage can be expected at the end of the 6th month. Chemical composition: copolymer of glycolide and lactide, (lactic-glycolic acid). Physical properties: synthetic wicker thread, absorbable. 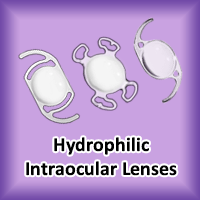 Application: for the approximation of soft tissue and application of a ligature including for eye and nerve tissues. Features: on the 14th day after the operation thread will save 40-50% of its strength, and absorbation of the bulk of the thread should be expected in a period of 60 to 90 days. Both components of polyglycolide thread are parties of natural metabolic processes and is easily excreted, mainly by the kidneys. The polyglycolide absorbtion processe causes only minor tissue reaction. 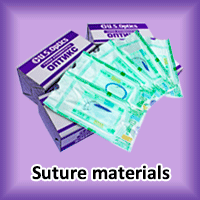 This suture is contraindicated for stapling tissue, which condition leads to slow wound healing process. Possible alternatives: vikryl, PGA, polysorb, dexon, safil.